Hackett and Aston Martin have collaborated to create a Hackett edition of the Aston Martin Rapide S, in conjunction with Q by Aston Martin. It is a new ‘tailor-made’ personalisation service offered by Aston Martin. Created with a unique vision, the Aston Martin Rapide S Hackett Edition combines sensational sports car performance with the essence of Hackett’s key brand values in one compelling form. 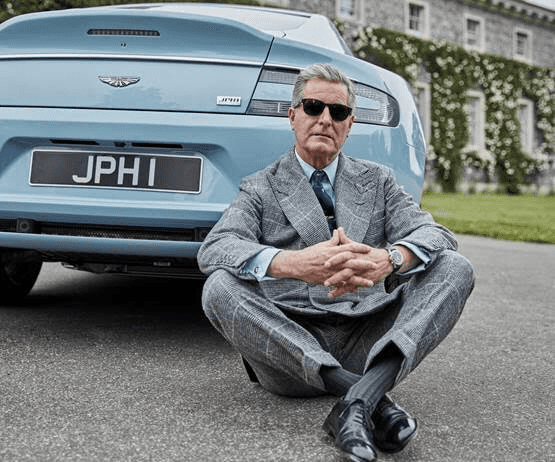 The specification has been designed exclusively by Hackett Chairman, Jeremy Hackett, in collaboration with Chief Creative Officer of Aston Martin, Marek Reichman, and includes the brand’s unique character in a blend of performance, refinement and beautifully engineered details. The car’s Hackett Blue exterior, Union Jack flag Aston Martin wings and specially designed fender badges embody Hackett’s identifying values.